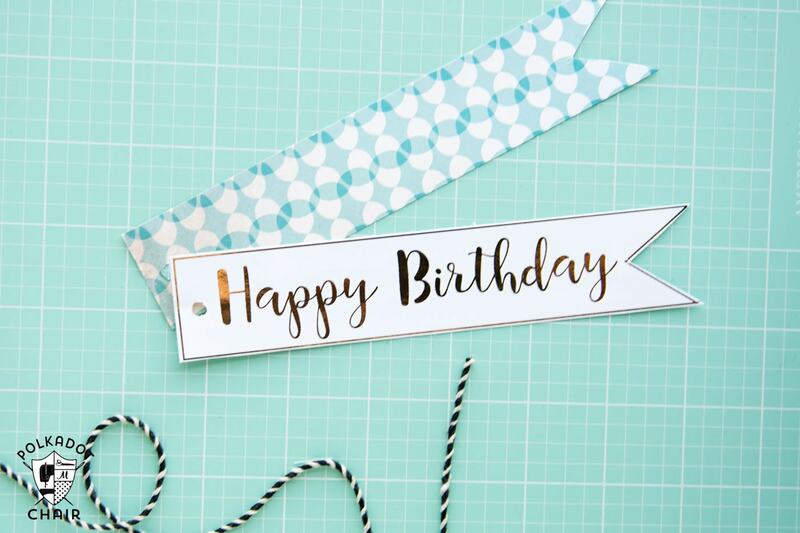 Today I have a fun, simple and cute DIY gift idea for you. 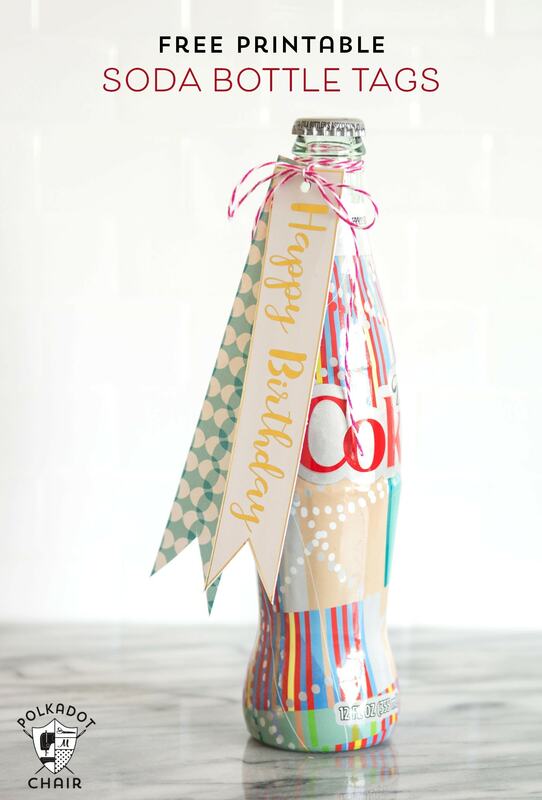 I’ve created a set of Free Printable Bottle Tags that you can use to gift a favorite soda to a teacher, friend or neighbor! 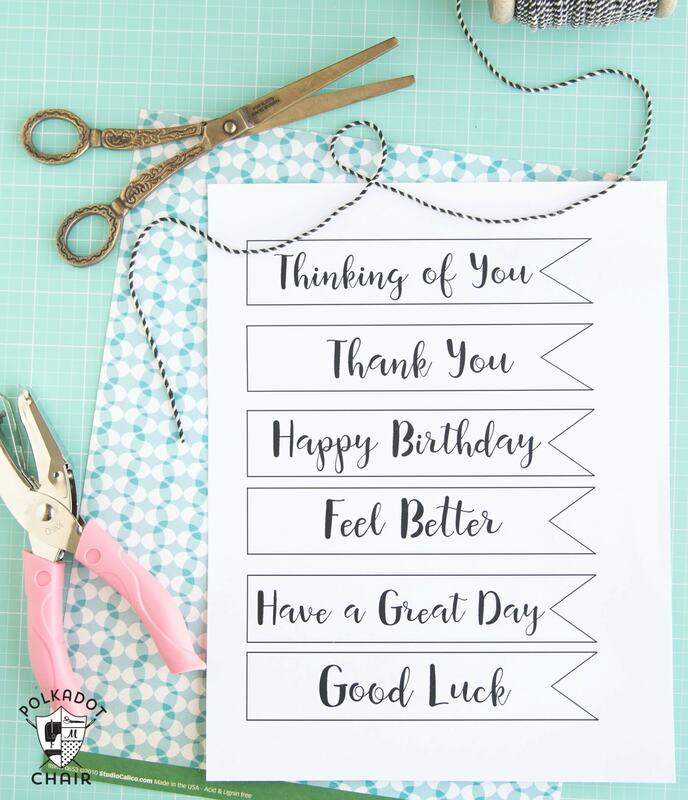 If you like this project, you may also like these Free Printable Get Well Soon Tags. A few weeks ago I went to drop a Birthday gift off to a friend. It was just a simple bag of her favorite treats. I was in the gift card aisle trying to find a simple tag that said “Happy Birthday” and nothing else to tie to the front of the gift bag. 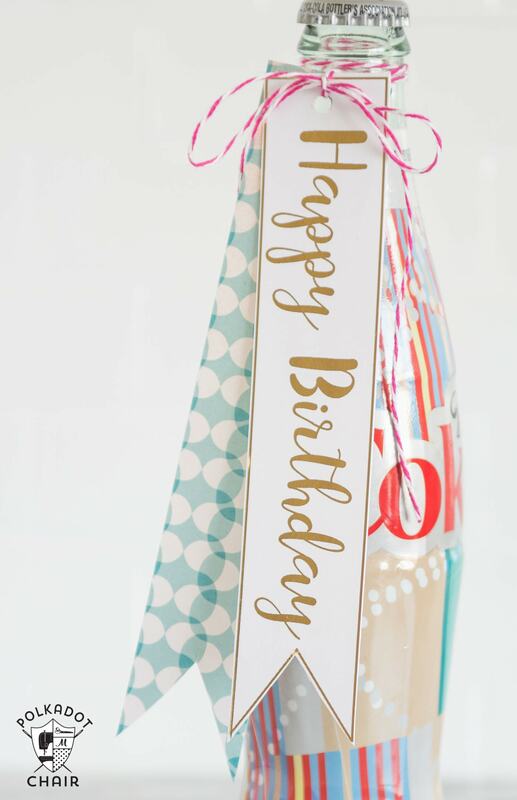 I didn’t want a giant glittery card, I just wanted a tag that said “Happy Birthday”. I couldn’t find what I wanted. It got me thinking (don’t you just love it when you get an idea stuck in your head and you can’t get it out?) so I sat down and designed a set of simple tags with simple sentiments. I’ve found the tags to be very helpful so I thought you guys might like them too! I designed these tags to make it simple for you to drop a little “sunshine” by someones home and hopefully brighten their day. All you have to do is print out the tags and attach them to the recipients favorite drink. I’m a huge Diet Coke fan, and love the new “fancy” bottles. 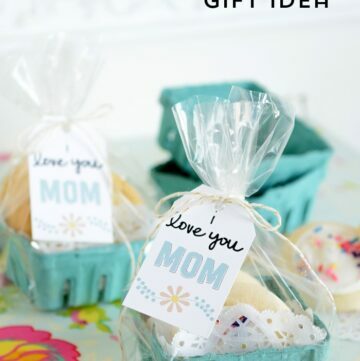 I think they make such cute gifts since they are already decorated. I used my Minc machine to add a bit of gold to the tags. You don’t need a foil machine, if you want a bit more color just print the tags on pattern paper. I layered my tag with a bit of scrapbook paper just to give it a bit more dimension then used a bit of bakers twine to tie it onto my bottle. 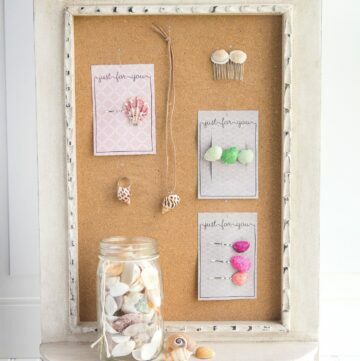 Super easy, quick and pretty inexpensive! 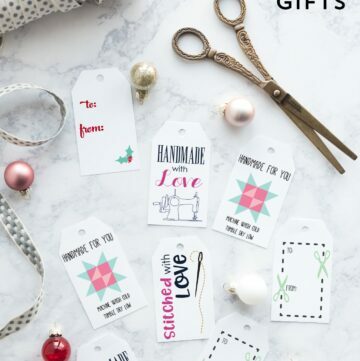 -Free Printable Tags – click here download them on the TEMPLATES page. How cute ! Thank you!